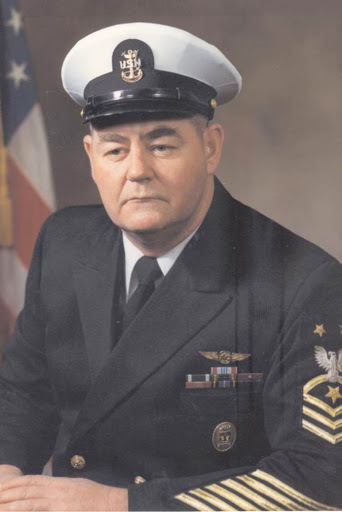 CTOCM (NAC) Levis Charles Walters, U.S. Navy (Retired), died on February 13, 1997 at his home in Lavonia, Georgia. Born in Lavonia, GA on August 26, 1938, he enlisted in the U. S. Navy in August 1955, and, upon completion of recruit training, was ordered to Teleman Class “A” School. In February 1956, he was assigned to Class “A” Communications Technician Operations (CTO) School at Imperial Beach, California. Upon receiving his CTO designation in June 1956, he was assigned to the National Security Agency at Arlington Hall Station, Virginia. He was transferred in September 1959 to the Staff, Commander-in-Chief, (CINC) U.S. Naval Forces, Europe in London, England. He was deployed with the CINC in USS POCONO (AGC-16) during this assignment. In November 1962, he received orders to the Naval Security Group Department, Naval Communications Station, Sidi Yahia, Morocco, where he served in various capacities until March 1964. At that time, he was transferred to Communications Security (COMSEC) duties on the Staff, Commander Cruiser-Destroyer Force, U.S. Atlantic Fleet in Newport, Rhode Island, attached to USS YOSEMITE (AD-19). He was promoted to Chief Petty Officer in July 1964. From September 1965 to August 1967, he was assigned to the Naval Security Group Activity, Kami Seya, Japan. From there, he was ordered to the Naval Security Group Department, Naval Communications Station, Philippines. He was promoted to CTOCS on 16 October 1968. He was transferred in September 1969 to the Naval Security Group Activity, Winter Harbor, Maine. He completed temporary additional duty with the Staff, Commander Carrier Division FOURTEEN in USS WASP (CVS-18) during a North Atlantic Anti-Submarine Warfare (ASW) mission from April to September 1970. He completed the Navy Management Analysis Class “C” School in San Diego, California in September 1971, and subsequently reported for duty with the Staff, Commander-in-Chief, U. S. Pacific Fleet (CINCPACFLT) in October 1971. He completed temporary additional duty in USS CHARLES BERRY (DE-1035) from May to July 1972. In January 1973, he was selected as the CINCPAC trip communicator, responsible for airborne and ground communications during the CINC’s official travel periods throughout the Pacific and the Continental United States. He was promoted to Master Chief Petty Officer on May 16, 1975. In October 1976, he was transferred to Staff, Commander-in-Chief Pacific (CINCPAC) at Camp H. M. Smith, Hawaii. During this assignment, he served in several capacities; his primary responsibility was as the CINC’s trip communicator, responsible for the air and ground communications in the world’s largest military command. In this capacity, he traveled extensively throughout the Pacific and United States. In April 1979, CTOCM Walters was selected by RADM Ince to serve as the third Force Master Chief of the Naval Security Group. He reported to Headquarters, Commander Naval Security Group Command in July and relieved CTTCM Vorhies on September 14, 1979. He served in this capacity until October 1982 when he reported to Naval Security Activity Skaggs Island, California for his twilight tour as Command Master Chief. CTOCM Walters was piped over the side on 31 August 1985 after completing 30 years and 4 days of continuous active Naval service. He was a qualified Naval Aircrewman. His decorations include the Legion of Merit, Defense Meritorious Service Medal, Navy Commendation Medal, Navy Good Conduct Medal (seven awards), National Defense Medal, Navy Unit Commendation Medal (four awards), and the Armed Forces Expeditionary Medal. He had been a member of NCVA since 1979 and was elected Executive Director in 1994. Master Chief Walters is survived by his wife, Patricia Louise Wheeler of Pleasanton, California, whom he married in 1957, a daughter and four sons.